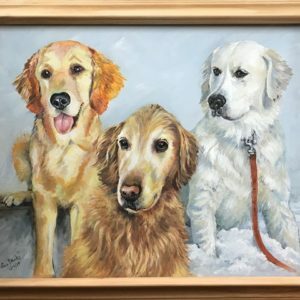 This portrait of three well loved dogs was a a delight to paint. 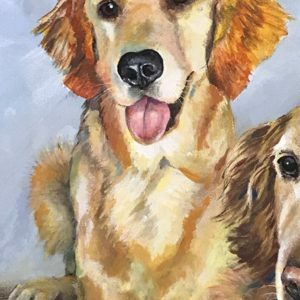 I used three individual photos of these Golden Retrievers and combined them in a cohesive image in fluid acrylics on a 20″ X 16″ canvas. 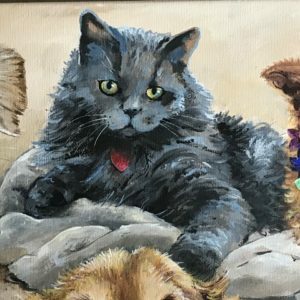 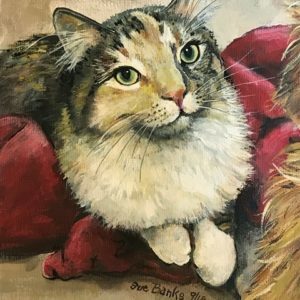 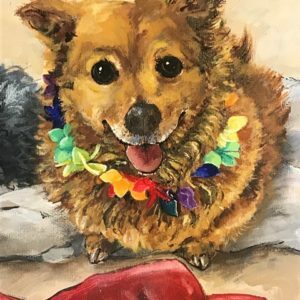 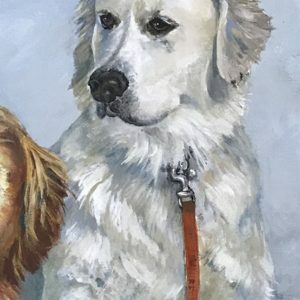 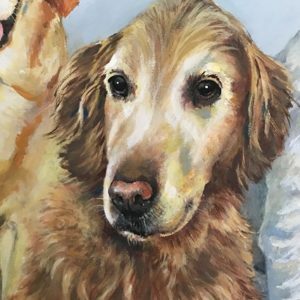 Would you like a pet portrait of your own? 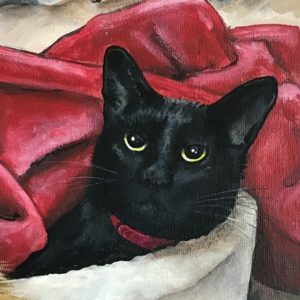 Please contact me through this site. 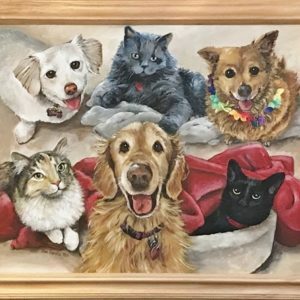 This portrait of six animals was a fun challenge. 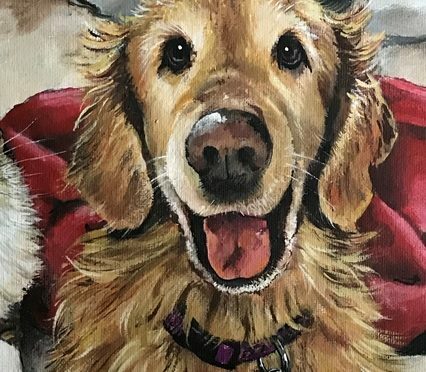 I was given six delightful individual photos and asked to combine them in a cohesive image (20″ X 16″ fluid acrylic on canvas). 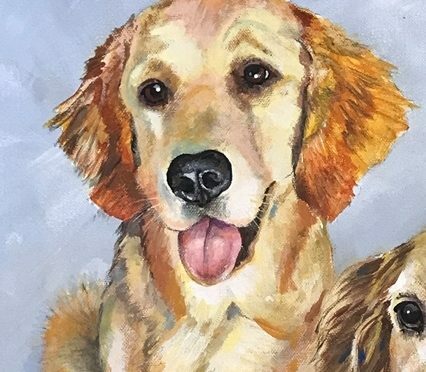 You can tell these three dogs and three cats are well loved pets! 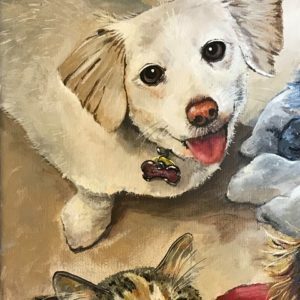 Would you like a pet portrait of your own? 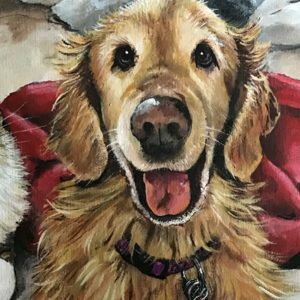 Please contact me through this site.